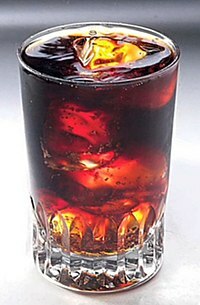 Beverages like colas account for three-fourths of the demand for caramel coloring. Caramel color is one of the oldest and most widely used food colorings for enhancing naturally occurring colors, correcting natural variations in color, and replacing color that is lost to light degradation during food processing and storage. The use of caramel color as a food additive in the brewing industry in the 19th century is the first recorded instance of it being manufactured and used on a wide scale. Today, caramel color is found in many commercially produced foods and beverages, including batters, beer, brown bread, buns, chocolate, cookies, cough drops, spirits and liquor such as brandy, rum, and whisky, chocolate-flavored confectionery and coatings, custards, decorations, fillings and toppings, potato chips, dessert mixes, doughnuts, fish and shellfish spreads, frozen desserts, fruit preserves, glucose tablets, gravy, ice cream, pickles, sauces and dressings, soft drinks (especially colas), sweets, vinegar, and more. Caramel color is widely approved for use in food globally but application and use level restrictions vary by country. In Asia, the demand for caramel color in sauces exceeds that for beverages. Caramel color is manufactured by heating carbohydrates, either alone or in the presence of acids, alkalis, and/or salts. 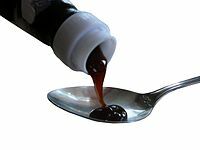 Caramel color is produced from commercially available nutritive sweeteners consisting of fructose, dextrose (glucose), invert sugar, sucrose, malt syrup, molasses, starch hydrolysates, and fractions thereof. The acids that may be used are sulfuric, sulfurous, phosphoric, acetic, and citric acids; the alkalis are ammonium, sodium, potassium, and calcium hydroxides; and the salts are ammonium, sodium, and potassium carbonate, bicarbonate, phosphate (including mono- and dibasic), sulfate, and bisulfite. Antifoaming agents, such as polyglycerol esters of fatty acids, may be used as processing aids during manufacture. Its color ranges from pale-yellow to amber to dark-brown. Caramel color molecules carry either a positive or a negative charge depending upon the reactants used in their manufacture. Problems such as precipitation, flocculation, or migration can be eliminated with the use of a properly charged caramel color for the intended application. Internationally, the United Nations Joint Food and Agriculture Organization/World Health Organization Expert Committee on Food Additives (JECFA) recognizes four classes of caramel color, differing by the reactants used in their manufacture, each with its own INS and E number, listed in the table below. Each class consists of a variety of caramels with their own unique properties that make it suitable for use in specific foods and/or beverages. 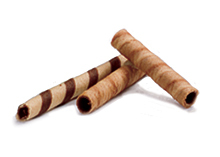 Wafer sticks containing caramel color are common in Greece, Turkey, Indonesia and other countries around the globe. Color intensity (or, tinctorial power) is defined as the absorbance of a 1 mg/mL (0.1% weight/volume) solution in water, measured using a 1 cm light path at a wavelength of 610 nanometers (or 560 nm for tinctorial power). In this case, A stands for absorbance and TS stands for total solids. The color tone of the caramel color is also important. This is defined by the Linner Hue Index, which is the measure of the color hue or red characteristics of the caramel color. It is a function of the absorbance of light of wavelengths 510 and 610 nm. In general, the higher the Tinctorial Power, K0.56, the lower the Hue Index and the lower the red tones. Various other indices are in use around the world and there are conversion factors between them. Caramel color is a colloid. Though the primary function of caramel color is for coloration, it also serves additional functions. In soft drinks, it can function as an emulsifier to help inhibit the formation of certain types of "floc" and its light protective quality can aid in preventing oxidation of the flavoring components in bottled beverages. Internationally, JECFA has set the Acceptable Daily Intake (ADI) of Class I caramel color as "not specified"; that of Class II as 0–160 mg/kg body weight; and that of Class III & IV as 0–200 mg/kg body weight. The United States Food and Drug Administration (FDA) classifies and regulates caramel color in Title 21 CFR § 73.85 as an approved color additive exempt from certification. Unless a food has a standard of identity, caramel color may be safely used in foods generally at levels consistent with "good manufacturing practice" (GMP). Caramel color has excellent microbiological stability. Since it is manufactured under very high temperature, high acidity, high pressure, and high specific gravity, it is essentially sterile, as it will not support microbial growth unless in a dilute solution. When reacted with sulfites, caramel color may retain traces of sulfite after processing. However, in finished food products, labeling is usually required only for sulfite levels above 10 ppm. In 2010, the International Programme on Chemical Safety (IPCS) concluded that commercially produced caramel color has the same toxicological properties as caramel produced by cooking or heating sucrose, except for those prepared using ammonium (Class III and IV). The IPCS has concluded that caramel color does not exhibit carcinogenicity or mutagenicity, based on its studies. Additional long-term studies support a conclusion that caramel colors are not carcinogenic. While the US FDA, Canadian Health Products and Food Branch and European Food Safety Authority (EFSA) have found caramel color safe for use in food and beverages, California has listed 4-Methylimidazole (4-MeI), a compound formed in the manufacture of Class III and IV caramel colors, in the state’s Proposition 65, thus legally including it in the category of chemicals “known to the state to cause cancer or reproductive toxicity”. According to the Food Chemicals Codex, 4-MeI in caramel color is allowed up to 250 ppm on a color-adjusted basis, which means 250 ppm maximum for every 0.100 color absorbance of a 0.10% solution at 610 nm. The exposure to 4-MeI at levels present in Class III and IV caramel colors are not expected to be of concern for two reasons. Firstly, 4-MeI does not appear to be genotoxic or metabolized to a reactive metabolite. Secondly, carcinogenic doses of 4-MeI exceed estimates of exposure from the consumption of caramel coloring by several thousand-fold. Caramel coloring may be derived from a variety of source products that are themselves common allergens, namely starch hydrolysates (from wheat), malt syrup (in general derived from barley), or lactose (from milk). As such, persons with known sensitivities or allergies to food products are advised to avoid foods including generic caramel coloring or first determine the source for the caramel coloring before consuming the food. Caramel color produced from corn or cane-based materials would be unlikely to contain gluten due to the lack of gliadin in the carbohydrates. North American and European manufacturers mostly use glucose derived from corn or wheat to produce caramel color, which is highly processed and is generally considered gluten-free. ^ International Technical Caramel Association (ITCA) (2015-12-08). "Benefits of Caramel Color". www.caramelfacts.org. Retrieved 2018-01-02. ^ "Other Applications: Cocoa/Chocolate". Caramel Color Application Guide. Sethness. Retrieved 25 Nov 2013. ^ "Zapp's Potato Chips Ingredient Lists". Zapps, Inc. Archived from the original on 2013-12-03. Retrieved 25 Nov 2013. ^ "Sweet Pickle Chips". M.A. Gedney Co. Retrieved 25 Nov 2013. ^ "Soy Sauce". ddwcolor.com. DD Williamson. Retrieved 11 Jun 2015. ^ International Technical Caramel Association (ITCA) (2017-04-25). "A Deeper Dive into Caramel Colors". www.caramelfacts.org. Retrieved 2018-01-02. ^ "Select the Appropriate Class of Caramel". Select Your Class. DD Williamson. Archived from the original on 2013-06-24. Retrieved 9 Apr 2013. ^ Kamuf, William; Nixon, Alexander R.; Parker, Owen D.; Barnum, G. Campbell, Jr. (March–April 2003). "Overview of Caramel Colors" (PDF). Cereal Foods World. 48 (2): 64–69. Retrieved 9 Aug 2012. ^ Yukhananov, Anna (5 Mar 2012). "US regulators dispute finding of cancer-causing soda". Reuters. Washington: Reuters.com. Retrieved 29 Oct 2012. ^ "International Technical Caramel Association Industry Position Statement on Gluten Free Caramel Color" (PDF). www.caramelfacts.org. April 2017. ^ Case, Shelley (2008). Gluten-Free Diet: A Comprehensive Resource Guide (Revised-Expanded ed.). Case Nutrition Consulting, Inc. ISBN 978-1-897010-54-9. This page was last edited on 13 March 2019, at 15:51 (UTC).